Probably more lucrative than journalism? I believe that Michael Moore was perplexed when he was at Mother Jones that the Restaurant Industry in San Francisco apparently generated more revenue into the economy than the entire US Domestic Auto Industry. Judging from the current state of culinary affairs in SF, that's probably still true. The foodie revolution still perplexes me somewhat. Lots of freelance journalism work for food writers these days. Can't imagine a topic that's more boring, but to each his own. The Chinese name of the place, baoma canting 寶馬餐廳, means literally 'Treasured Horse Restaurant'. 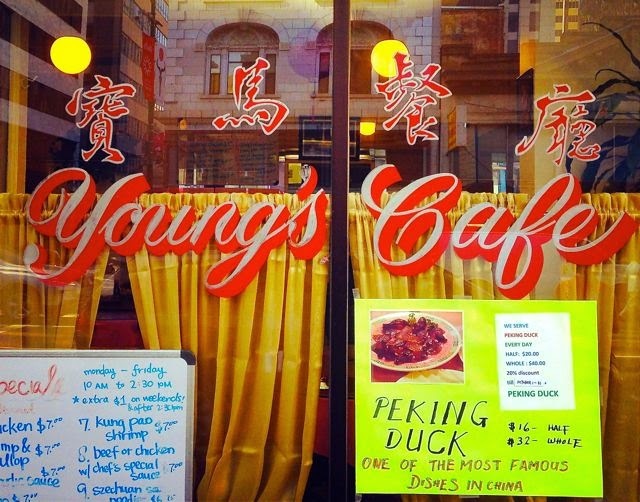 Their Peking Duck will keep you galloping, I guess.